Wisdom of Life. : Truth breeds goodness... my reader said. I had an interesting comment on my recent title, "A third generation's sale" dated 12 April 2012. For those who had missed reading it, I like to share them today here. From your article, you look like a really genuine insurance agent who cares for his customer. Allow me to share an experience. Some 30 years ago, an insurance agent befriended me. Through the years, we develop a good friendship. He sold me a few plans, the last just before my retirement. Now, after that the phone calls stopped, though we are still connected by email. No more coffee get together. This same thing happened with another agent of mine from a different ins co. This showed me clearly the true strategy of an ins agent. Come in as friends, gain trust, sell as much as you can, and slowly get out and start again with a new customer!!?? Its hard to really get true friendship without money in it?? being truthful will sooner or later be discovered ! Truth breeds goodness even with less profits but eventually with bigger vol of customers. Thanks Robert for teaching your fans and students who look up to you as an outstanding insurance age. 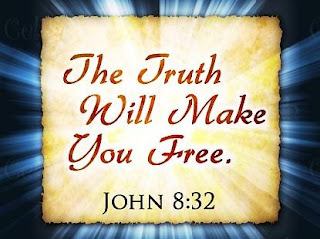 "the truth sets you free" is very interesting. When I was a young boy of 8 years in a Malay Kampong, I used to climb mangosteen trees to take the ripe ones. And we wud sell them to a retailer in the area. Ah King wud come by in a motorcyle with a big basket to weigh the products ( balancing type). And my father used to tell me that the guy wud always try to 'meddle' a little with his balance weighing equipment to gain a little extra profit! 49 years later yesterday, I sold my old newspapers to a man with a lorry blasting 'surat khabar lama2' on the loudspeakers. From the corner of my eye, I could see him measuring the amount of papers with his fingers. I counted 4+ finger length. At Rm3/ per finger length, it should be $12/-. How much? He said, $10. I questioned him that it is $12. He showed me how he counted. And I could see where he had cheated. Then I showed him clearly by counting myself and finally he relented that my figures were true! He actually had wanted to cheat. It was no deal for me to insist on the $2 extra. But only on a matter of principle. My mind went back 48 years ago to a similar scenario in my kampong. Recently I saw the Ah King in his shop, in shorts and a singlet, as he used to be back then! And I realised something ... Although he is rich, he does not know how to enjoy life. No holidays, no nice house, still using his old vehicles etc. And all this by his own choice?? Why then did he want to amass money? In this case, perhaps 'the truth did not set him free'. Because he did not follow the principle of going by the truths. And the 'surat khabar lama' man may just end up the same way...?? Only the 'truth will set you free'!! Thank you for such wonderful comment of your past. All of us had experience our different taste of life. Some were tough. But they really meant to mold us to a better understanding of our later lives. Those who only work with their corrupted mind won't never change. While those who work with their heart would be set free from the truth. Yes! "The true sets us free".... from the Bible it wrote. I experienced untruths many times. Why is it that so many people lacks integrity? As if nothing to fear from any one. As if God is already out of anybody's picture! Can you share your wisdom on how can we restore integrity? It's always nice to see you here coz u offer interesting question. The meaning of Integrity is adherence to moral principles; honesty. And believe me, not many might know the real meaning behind. If the whole world would know the exact meaning, then our world might not be so challenging then. As I had mentioned many a time, our world has the good and the evil forces. Just like God have created The Angel & The Devil. These two forces have to remain, otherwise the world won't have existed. I can't imagine if everyone is honest, would we able to differentiate what is not honest then!! Now that most people you experienced aren't telling the truth, you could see that you are really a special person. Because you are honest yourself. Not many people can be honest. Honesty can't be learned. And you should give yourself a good pat over your shoulder. And that's why I call and address you as hero. Restoring integrity? No way my hero coz God makes it that way. TQ for your enlightening views. A friend says.. Everything begins at home. Have every mum n dad done their duties to their children?? If done, then we have a chance to restore a good measure of integrity. Just maybe! Let's preach more 'Love & Concern' to our Uncaring world. I have started mine on Blog. What about you hero? I'd been the victim in dishonesty and most of the time when i noticed it, the deals were done and they were gone. Sometimes i knew they are not being honest but i never spoke out because i believe there must be a reason behind this dishonesty. He/SHe might be needing the money desperately or he/she just wanted the extra. Whatever the reason, i wish the extra they gain would actually help their life. I have friends (quite a huge numbers of them) around me who was beaten up by siblings, called names by dad, curse by mom, being pushed down the stairs, treated like maids etc. They all look normal and happy until they shared their other side of real life to me. Some told me this happen in most of the families. Growing up in a family like this, what is integrity? I wished there's more love around as love can do miracles. "Everything begins at home. Have every mum n dad done their duties to their children?? If done, then we have a chance to restore a good measure of integrity. Just maybe!" TQ Bob & Michelle for sharing. My teacher always reminded me:" if u see a wrong, try to correct it. If u cannot do anything to prevent, do it in your heart, tho it is the weakest form of correcting a wrong done by others." I try living that ever since! Maram is one of my teacher who taught me life, ever since I knew him 29 years ago as a client. Except that he is well behaved, while I'm naughty as ever. Thanks Maram, my Hero. TQ Bob, tho u are just being modest. It's mutual learning and teaching. Sharing of life xperiences. Trying to manage our steering wheel to get into the right path. TQ Wiseguy.